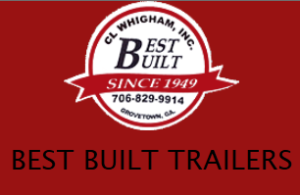 Description: A family owned business in Georgia, Best Built Trailers does exactly what their name entails. Concession Trailers and Mobile Kitchens are all built from the ground up from the best, first brand name materials we can get. Our designs used span a variety of fun and useful styles, and are all built to last; feel free to come down and see how we put them together! We can make your trailer in practically any color you want, but we do not perform any logo or other design work. Past Customers: Unknown as of yet. Contact us to provide feedback.